SEO Blog Feeds - What is RSS? What are Feeds? Get our full posts delivered to your feed reader. Get post title & a short post description. This video does a good job describing how feeds work. Below is similar information, in a boring textual format. Online individuals and companies create a vast sea of content. Too much content perhaps. To keep up with all the new content every day I could visit SeoBook.com, sethgodin.typepad.com, SearchEngineLand.com, SEOMoz.org, Wolf-Howl.com, and a bunch of other great blogs and news websites. Or, to keep myself organized, I could subscribe to feeds from all these great sites and access them all from one place. Feeds allow you to subscribe to information you find relevant and useful, and be notified when your favorite websites are updated. Instead of needing to visit all the above websites every day you could just go to Google (Google Reader or iGoogle), My Yahoo!, or Bloglines and read all the news at any one of these sites. You do not need to visit all 3 sites to read the news. Just pick your favorite one and subscribe to a bunch of your favorite sites. If you are an avid online reader using RSS subscriptions to keep track of the news can save you hours a day. In addition to subscribing to top blogs you can also subscribe to RSS feeds for news topics. For example, here is a link for the Google News feed on SEO. You can subscribe to other keywords that interest you using the RSS link in the left side of a Google News search result. Other information aggregators, like Google Blogsearch, also provide RSS feeds. You can use RSS feeds to track blogs that link to your site. This next one is not an RSS feed, but you can find Technorati blog link stats for SEO Book here. With both of the above examples you can just replace my URL with your URL to find your stats. 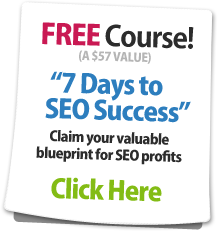 Want Access to the Best SEO Feed on the WWW? Bingo. You got it here...the featured threads feed from our private forums. Visit PPC Blog, our new sister site focused on pay per click marketing.